We are a leading Wholesale Trader of basalog 100iu, enoxion 40mg, gestone 50mg, hepa merz injection, icikinase 1500000 iu and finpecia 1mg from Chennai, India. Basalog 100IU/ml Injection is used in the treatment of diabetes. 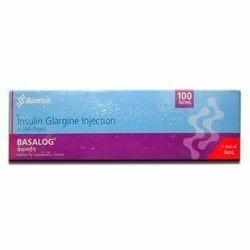 Basalog 100IU/ml Injection is a long-acting insulin that provides consistent, all-day sugar control. It works like your body's natural insulin. Insulin facilitates reuptake of sugar in muscle and fat cells and also suppresses the production of sugar in the liver. 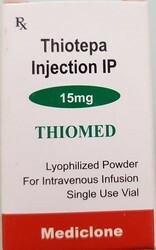 Enoxion 40mg Injection is used in the treatment and prevention ofdeep vein thrombosisandpulmonary embolism. It is also used in a heart attack. Enoxion 40mg Injection is an anticoagulant that prevents the formation of harmful blood clots. Gestone 50mg/ml Injection is used in the treatment offemale infertilityandhormone replacement therapy. It is also used to restore menstruation in women with secondary amenorrhea (the absence of menstrual cycles). 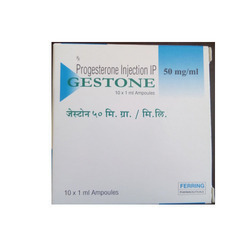 Gestone 50mg/ml Injection is a progesterone (female hormone). It works on the lining of the uterus and helps to establish and maintain pregnancy in infertile women. It helps in protecting the uterus from the negative effects of estrogen when used for the treatment of postmenopausal symptoms. 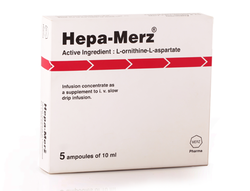 Hepa Merz Injection is used in the treatment ofnutritional deficiencies. L-ornithine l-aspartate is an amino acids that reduces the accumulation of ammonia in patients with poor liver function thereby relieving symptoms associated with abnormal ammonia metabolism. Icikinase 1.5MIU Injection is used in the treatment ofheart attackandpulmonary embolism. Icikinase 1.5MIU Injection works by dissolving the harmful blood clots in the blood vessels. This allows reperfusion of affected tissue, preventing tissue death and improving outcomes. 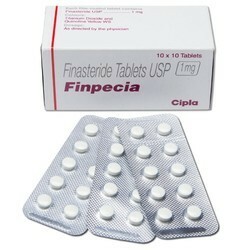 Finpecia 1mg Tablet is used in the treatment ofhair loss. It treats early forms of male pattern hair loss (also known as androgenetic alopecia). Finpecia 1mg Tablet is a 5-alpha reductase inhibitor. It blocks the body's production of a male hormone in the scalp that stops hair growth, thereby reversing the balding process and preventing further hair loss. 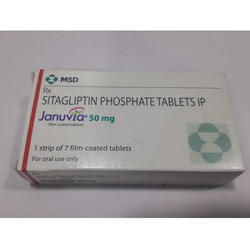 Januvia 50mg Tablet is used in the treatment of¿¿type 2 diabetes. It is used in addition to diet and exercise to improve blood sugar control in adults with type 2 diabetes. Januvia 50mg Tablet is an anti-diabetic medication. It works by increasing the release of insulin from the pancreas and decreasing the hormones that raise blood sugar levels. This reduces the fasting and postmeal sugar levels. 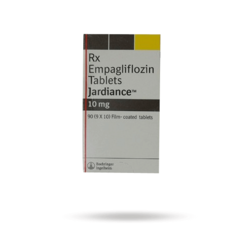 Jardiance 10mg Tablet is used in the treatment of¿¿type 2 diabetes. 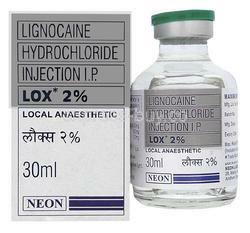 LOX 2% Injection is used in the treatment of local anesthesia. 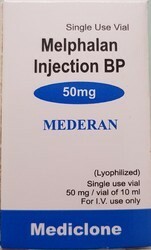 LOX 2% Injection is a combination of two medicines Lidoacaine and Epinephrine. Lidocaine is a local anesthetic which works by blocking pain signals from the nerves to brain thereby decreasing the sensation of pain. Adrenaline is a vasoconstrictor which tightens the blood vessels to slow the dispersal, and thereby prolong the effect of Lidocaine. Together, they numb the area effectively and allow medical procedures/surgeries to be performed without pain. 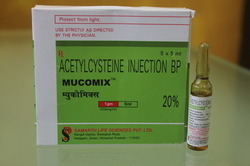 Mucomix 1000mg Injection is a mucolytic medication. It loosens thick mucus (phlegm) in the nose, windpipe, and lungs, making it easier to cough out. It also works as an antidote in paracetamol poisoning by replenishing the body's stores of glutathione, a chemical that removes toxic substances. 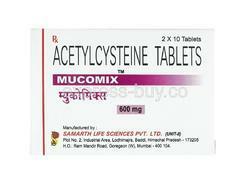 Mucomix 600mg Tablet is a mucolytic medication. It loosens thick mucus (phlegm) in the nose, windpipe, and lungs, making it easier to cough out. It also works as an antidote in paracetamol poisoning by replenishing the body's stores of glutathione, a chemical that removes toxic substances. 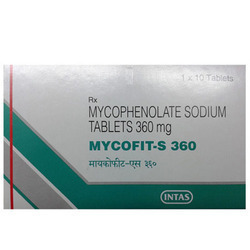 Mycofit-S 360mg Tablet is used for¿¿prevention of organ rejection in transplant patients. Mycofit-S 360mg Tablet is an immunosuppressant. It reduces the action of body's own defense system (the immune system) and prevents rejection of the transplanted organ. Myfortic 180mg Tablet is used for¿¿prevention of organ rejection in transplant patients. 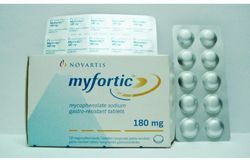 Myfortic 180mg Tablet is an immunosuppressant. It reduces the action of body's own defense system (the immune system) and prevents rejection of the transplanted organ. Gestone 100mg/2ml Injection is used in the treatment offemale infertilityandhormone replacement therapy. It is also used to restore menstruation in women with secondary amenorrhea (the absence of menstrual cycles). 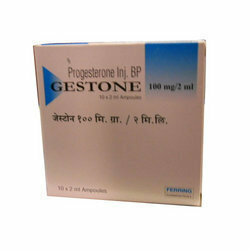 Gestone 100mg/2ml Injection is a progesterone (female hormone). It works on the lining of the uterus and helps to establish and maintain pregnancy in infertile women. It helps in protecting the uterus from the negative effects of estrogen when used for the treatment of postmenopausal symptoms. Looking for Pharmaceutical Product ?